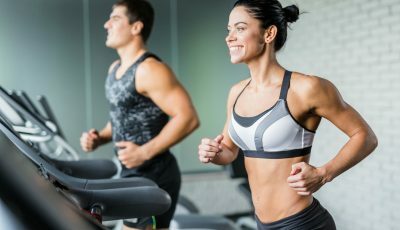 As triathlon is viewed largely as an endurance sport, many beginner triathletes like to cover the distance of the run portion of their triathlon at an easy steady pace. 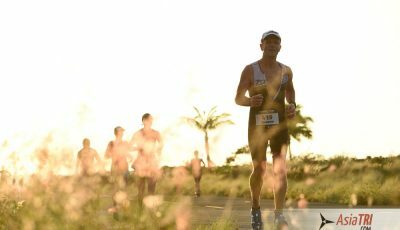 While there is definitely a place for the LSD ( Long Slow Distance) in every triathletes schedule, the best thing to do with the other run training slots is to mix up the your effort levels in a structured way so that the other physiological systems of the triathletes body can be developed as well. If an athlete currently run 3 times a week – 3km , 5km and 10km, all at the same easy to moderate pace then yes they will indeed develop the endurance to simply cover the distance. However, this ‘safe’ approach to training will not work as the athlete wants to improve their speed. The ONLY way to improve run performance is to develop the other important physiological systems of strength, leg speed and tolerance. a) Hill Repeats: After a full warm up of 20 mins easy building to moderate running, run up a steep hill as hard as you can for 40 seconds. Your legs should be burning by the end of that effort and our heart may feel as if it is about to jump out of your chest. Turn around, walk back down and repeat 10 x. Cool down at the end with a very easy 10 min jog. b) Static exercises: Squats and Lunges are the basic exercises that build run specific strength. They develop Gluteal and Quadricep strength. After learning how to execute them correctly, advanced versions include single leg variations, weighted variations, Swiss Ball Variations and more explosive plyometric exercises. However, the simple squat and lunge combo is a great way to build strength in the legs. Leg Speed – Leg speed refers to the ability for a triathlete to turnover a high stride rate while running. Efficient running starts at a stride rate of 90 steps per minute and this is a key factor that will allow one to run off the bike well. Typically, athletes who are not aware of their stride rate, especially taller ones, may come in anywhere between 78 – 86 steps per minute. To measure your stride rate, simply count the number of times your right elbow drives backwards in a 30 sec window while you are running at your regular pace. Then multiply this number by 2. A) Jog 20 minutes to a nearby track as your warm up. Run with as fast a stride rate as you can for 60 – 80m along the straight. This is NOT an all-out sprint. You may end up running quite fast, but remember that top end speed is not the goal of this drill. Focus instead on running tall and driving your elbows quickly. Your may find that your stride naturally shortens and becomes more compact – this is fine. You are also retraining your feet to strike the ground under your hips, which is another important trait of efficient running. At the end of the effort, jog back easy to the start and repeat the Fast Strides 15 – 20 times. Finish with an easy 10 minute jog to cool down. B) Doing this drill on a treadmill is also very useful because the treadmill at 0% gradient actually drives the leg turnover. You will need to master the skill of jumping off on to the side platforms to take your rest though! Tolerance – This refers to the ability to hold a moderately hard effort for an extended period of time – a useful skill to have at any distance of race! Here is simple tolerance set that you can try out on the road/ at the track or even on the treadmill. A) At the track, after warming up, do 12 – 15 x 400m with a 30 – 45 sec rest after each lap. Do not go flat out. Instead, aim to run all of these at the best possible pace that you can sustain over all the repetitions. Your goal is to run the 1st one, middle one and last one at the same speed. Be warned, this session is designed to get tougher and tougher as you progress through the reps. You may need to take an extra 60 seconds at half time to catch your breath. It will take a few weeks to master this set but by the time you nail it, you’ll already be running better! B) You can easily replicate this session on the road by running moderately hard for 2 mins with a 30 – 45 sec walk break after each one. Aim to keep the same ‘best average’ pace for all reps. So there you have it, this should be plenty to get started on. The next time you head out for a run, I challenge you to do any one of these sets and mix it up! Stick with it for 3 -4 weeks and you’ll feel the difference in no time at all. GOOD LUCK & ENJOY YOUR TRAINING. Winners of the Free Slots to Clark Triathlon Classic-Philippines Announced!